If you’ve visited Great Smoky Mountains National Park, you know that nearby Gatlinburg, Tennessee is chock-a-block with family fun. But is there romantic fun in Gatlinburg? Yes, turns out there’s plenty! 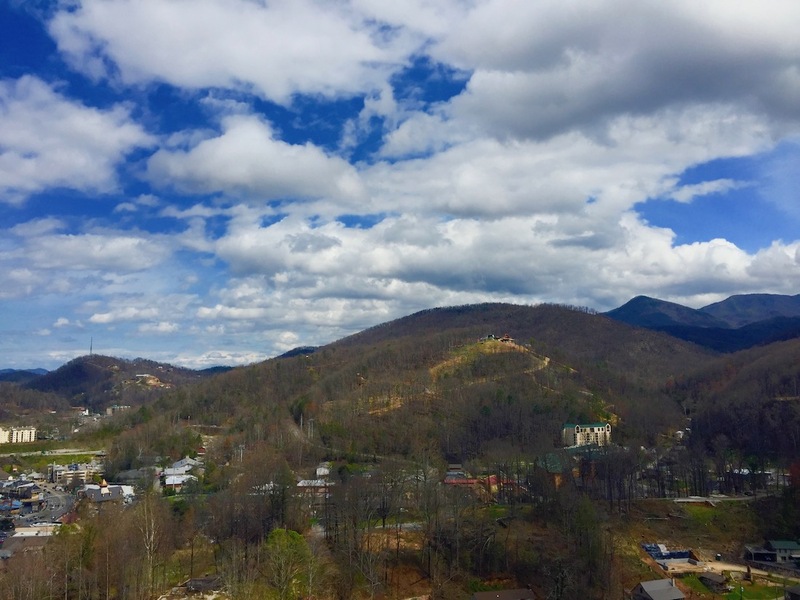 World TravelingMom and her husband just returned with tips for Gatlinburg activities for couples. Like sipping moonshine, listening to authentic bluegrass, ziplining, taking in the mountain views, and more. 1. Mountain Views in Gatlinburg. 2. 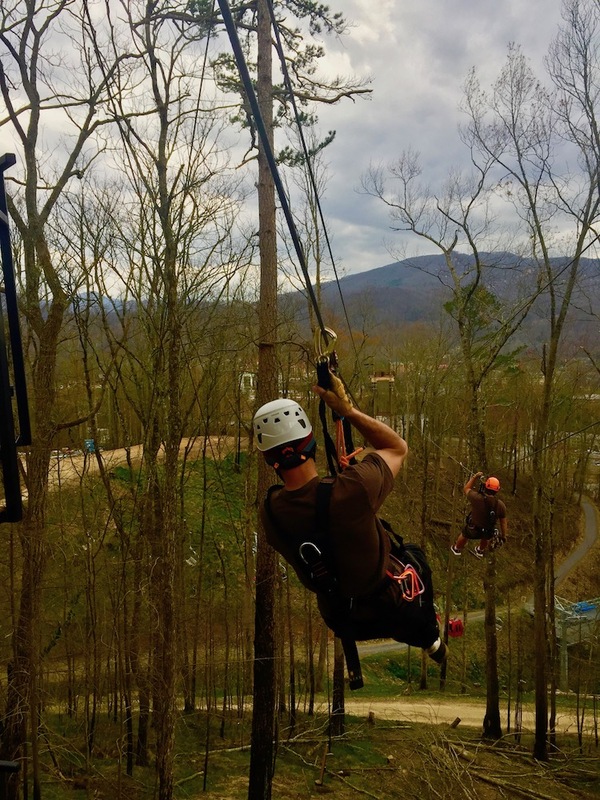 Ziplining is the most romantic adventure in Gatlinburg! 3. Cheers to Ole Smoky Tennessee Moonshine. 4. Rocking to a Bluegrass band. 6. Great Smoky National Park is free. 7. Where to stay for Romantic Fun in Gatlinburg? My husband and I just returned from our first visit to Gatlinburg, Tennessee. If you only know this Smoky Mountain destination for its fun family activities, you might be surprised by how much romance you’ll discover. 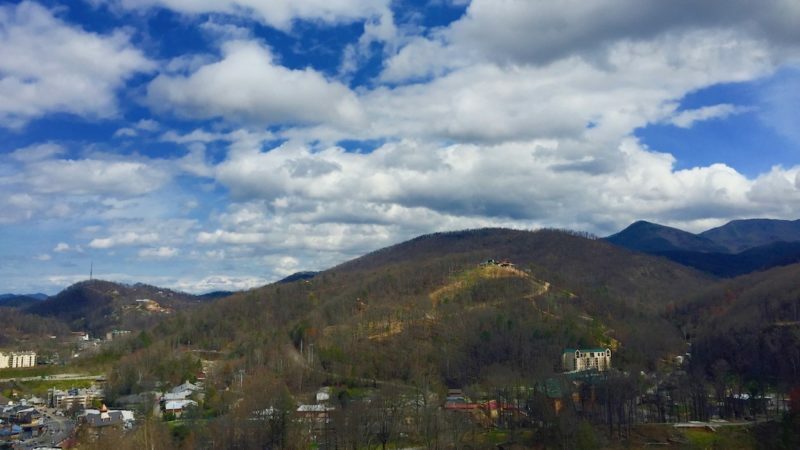 Mountain views, ziplining, moonshine, live music and hiking trails are just a short list of the romantic fun in Gatlinburg, Tennessee. And it wouldn’t be romantic if we didn’t suggest the perfect place to stay, right? Enjoying beautiful Great Smoky Mountain views is one of the Gatlinburg activities for couples. For romantic fun in Gatlinburg, we took an elevator to the top of the Gatlinburg Space Needle for amazing views of the Smoky Mountains. My husband and I took a chairlift to the top of Anakeesta, Gatlinburg’s newest outdoor adventure area. We enjoyed mountain views as we traveled to the Anakeesta mountaintop. And I’m glad we planned a couple of hours at the top of Anakeesta. Because there was more to do. At Anakeesta’s top, we enjoyed the Tree Canopy Walk. We swayed on cable and wooden bridges hanging 40 feet in the air. And we enjoyed views of trees below us, zipliners overhead, and people at the top of the mountain. TravelingMom tip: Leave time to wait in line for the chairlift to Anakeesta. The fee covers activities at the mountaintop, except ziplining. Also, if you’re taking kids on the chairlift, be sure little kids straddle the safety bars. Or opt for the aerial tram, instead of the chairlift. 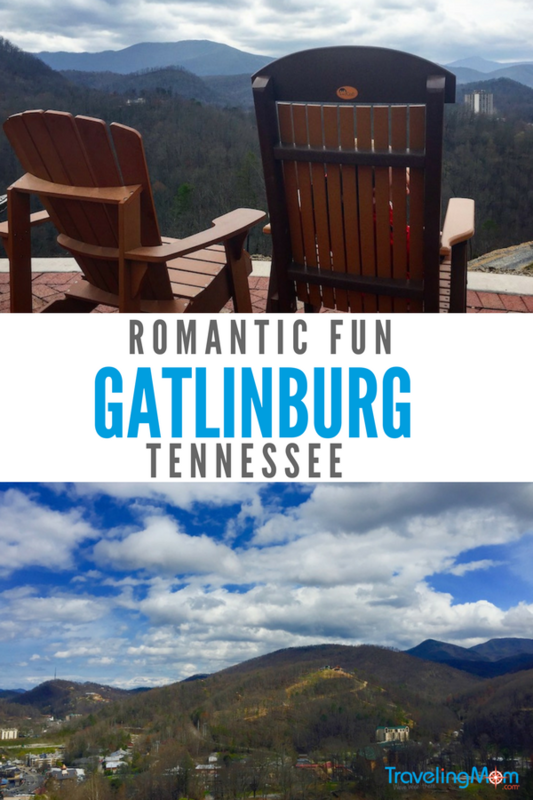 At the top of Anakeesta, my husband and I sat around the firepit and in rocking chairs facing beautiful views of the Smoky Mountains, both romantic fun in Gatlinburg. Also, we got good barbecue sandwiches at the top of Anakeesta. And if we hadn’t scheduled ziplining for after lunch, we would have visited the ice cream shop at Anakeesta’s top. Getting outside my comfort zone can be scary. To adventure far outside my comfort zone, it helps to fully trust my travel companion. My husband was my perfect companion for my first ziplining experience. Also, we trusted the spanking new ziplining equipment at Anakeesta. Plus, the calming Anakeesta guides, who thoroughly strapped us in and explained what to expect. Ziplining was an adrenaline rush. It was thrilling to zip over the tops of the trees, with great views of mountains and the town. And, yes, even though I screamed a lot, ziplining is romantic fun in Gatlinburg. Because scary is fun when I’m with the one I love. TravelingMom tip: Be sure to book online in advance for Anakeesta ziplining. It fills up fast. Because it’s thrilling! 3. Cheers to Ole Smoky Tennessee Moonshine! Tasting moonshine – whiskey without aging – is a Gatlinburg activity for couples. We thoroughly enjoyed touring Ole Smoky Tennessee Moonshine, a family-owned distillery. Inside vats during our tour, Ole Smoky uses a 200-year old family recipe to ferment yellow cracked corn. And turn it into moonshine. We learned moonshiners liked the low clouds of the “smoky” mountains because clouds hid smoke from the distilleries. We loved tasting the moonshine, especially Mountain Java, Buckeye, and Salted Caramel Whiskey. Another authentic touch: the Holler location we visited, right in downtown Gatlinburg, is built out of 14 old barns. We visited Ole Smoky Distillery to taste the moonshine. But we stayed for the family-friendly live music, a daily feature onstage at Ole Smoky Distillery. My husband and I sat outdoors in rocking chairs to listen to a bluegrass band. 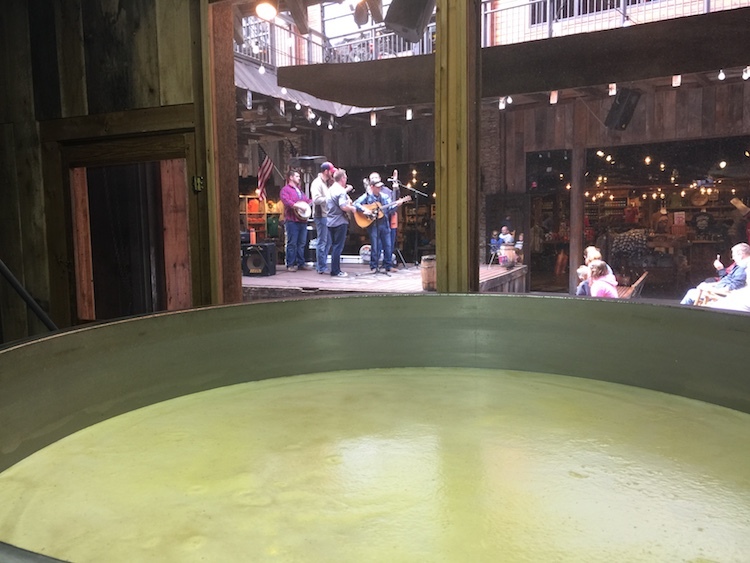 And we liked the music so much we bought their CD.While Ole Smoky moonshine sipping is a Gatlinburg activity for couples and those over 21, enjoying the music is open to all, including kids. My husband and I love getting outside to stretch our legs and enjoy the beautiful outdoors. And the Great Smoky Mountains National Park makes that easy by maintaining dozens of trails through the woods, along streams, and up the mountains. We hiked easy trails to see early signs of spring. Like blooming daffodils and forsythia. And the high water in streams created waterfalls that made a delightful sound. While we visited in early spring, hiking trails are romantic fun in Gatlinburg in every season. Is anything more romantic than free? Visiting Great Smoky Mountains National Park is easy on the wallet. Because it’s free. And we entered the Park only 7 miles from downtown Gatlinburg, where we stayed. To stay in a more rustic setting near Gatlinburg, check out this option. For romantic fun in Gatlinburg, like being able to have a glass of wine with dinner, my husband and I wanted to avoid driving at night. We stayed at Hilton Garden Inn, located right downtown. That way, we had an easy walk to restaurants and to the zany fun of downtown Gatlinburg. Another advantage was being only 7 miles from the entrance to the Park, so outdoor hiking in the Park was easy to do. The Hilton Garden Inn was surprisingly quiet since it was so close to downtown. We appreciated the tranquil room at the end of a noisy, activity-filled day. In fact, one night, we skipped crowds at the restaurants and enjoyed a quiet dinner at the hotel’s restaurant, among perfect Gatlinburg activities for couples. And while we didn’t try the hotel’s hot tub and fire pit, since it was a little too chilly for us, it was a popular evening activity for families at the hotel. TravelingMom Tip: For those traveling with families, the Hilton Garden Inn has a large welcoming lobby that’s helpful for downtime. Also, it provides on-site parking, right downtown. And a full hot breakfast, for a fee. What are your suggestions for romantic fun in Gatlinburg? Tell us about it in the comments. Heading there in a few weeks-wishing it was for a romantic getaway after reading this! I bet kids would enjoy lots of what we did – except the moonshine! Yes, absolutely. 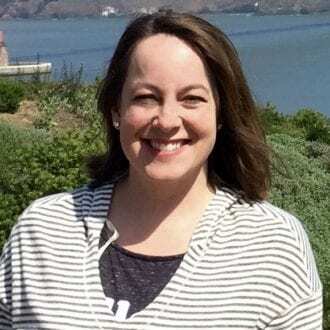 We would have liked to hike more – next time!